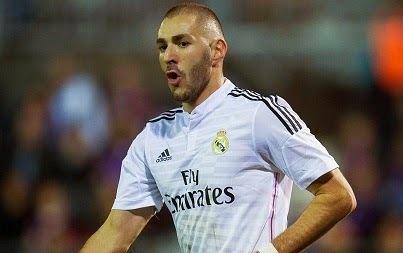 Arsenal target Karim Benzema set to stay at Real Madrid Real Madrid striker Karim Benzema is set to stay at Santiago Bernabeu despite of in strong links with Arsenal, says Benitez. Real Madrid striker Karim Benzema is set to stay at Santiago Bernabeu despite of in strong links with Arsenal, according to manager Rafa Benitez. The reports from SkySports revealed that the Spanish boss Rafa Benitez has now said that the French striker would be staying this season. Benzema has been linked with a move throughout the summer, not only Arsenal but Manchester United and Liverpool were also in the race. Benitez who told few months ago that Benzema is not a part of his plans as he will be using Cristiano Ronaldo as a striker, however now he believes that he could add 25 goals for them this season. The former Liverpool boss has been eyeing his replacement in the past few months but now he believes that the current squad players are difficult to replace. Meanwhile, veteran defender Sergio Ramos has signed a new long term deal at Real Madrid. The Spaniard was in link with a move to Manchester United, but now he has finally signed a five year deal. With Real Madrid now concluding the deals, it is expected that they would now be eyeing to seal David de Gea move before the transfer widow ends in the next few weeks.